Onstage Systems is a one stop shop for all your Audio Visual Equipment, Event Staging and Production Services for any kind of events, ranging from Concerts and Tours, Festivals, Meetings and Trade Shows, to Special Events, Promotions, Sporting Events, Corporate Events and many more!We have a huge array of audio equipment, video equipment, lighting equipment and backline equipment inventory for hire, as well as for sale. Onstage Systems is a one stop shop for all your Audio Visual Equipment, Event Staging and Production Services for any kind of events, ranging from Concerts and Tours, Festivals, Meetings and Trade Shows, to Special Events, Promotions, Sporting Events, Corporate Events and many more!We have a huge array of audio equipment, video equipment, lighting equipment and backline equipment inventory for hire, as well as for sale. AA Rental provides audio visual service throughout all of greater Washington DC and Chicago. We provide top notch audio video equipment for any function or event. Our equipment ranges from computers, speakers, microphones, audio mixers, audio recorders, plasma TV's, video cameras, podiums, teleprompters, iPads, staging, lighting, screens, projectors, and DJ equipment. We also provide pickup, delivery, and setup service at all of our locations. AA Rental provides audio visual service throughout all of greater Washington DC and Chicago. We provide top notch audio video equipment for any function or event. Our equipment ranges from computers, speakers, microphones, audio mixers, audio recorders, plasma TV's, video cameras, podiums, teleprompters, iPads, staging, lighting, screens, projectors, and DJ equipment. We also provide pickup, delivery, and setup service at all of our locations. We're a video production company that is focused on results, our business is to grow your business. We believe in having clients, not customers. And we hope to make a difference in the process. (904)-701-3016. We're a video production company that is focused on results, our business is to grow your business. We believe in having clients, not customers. And we hope to make a difference in the process. (904)-701-3016. We supply an exceptional film production service all across Cornwall and surrounding areas. From water sports videos to live action and corporate events, the end product is sure to make yu stand out from the crowd. We supply an exceptional film production service all across Cornwall and surrounding areas. From water sports videos to live action and corporate events, the end product is sure to make yu stand out from the crowd. 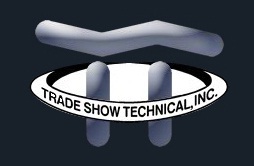 Trade Show Audio Visual equipment rental and sales. Computer and business equipment rental. Staging, drape and event management services, Las Vegas, Nevada. Trade Show Audio Visual equipment rental and sales. Computer and business equipment rental. Staging, drape and event management services, Las Vegas, Nevada. BlueroomAV is video camera hire and production equipment company based in London catering for businesses, independent filmmakers and individuals. BlueroomAV is video camera hire and production equipment company based in London catering for businesses, independent filmmakers and individuals. Pro Video Group is a professional video and audio equipment rental and production company. Pro Video Group is a professional video and audio equipment rental and production company.